Ellen DeGeneres’ popular game show, Ellen’s Game of Games, has been officially renewed for a third season. NBC announced the renewal but did not confirm how many episodes have been ordered for season three. Season two kicked off on Tuesday, January 8, 2019 and landed in first place with the night’s highest ratings among 18 to 49 year-olds, beating NCIS, The Conners, and The Kids Are Alright. Episode two of season two actually expanded its audience by 13%. DeGeneres, David A. Hurwitz, Kevin A. Leman II, Mary Connelly, Ed Glavin, Andy Lassner, Jeff Kleeman and Derek Westervelt are the executive producers. 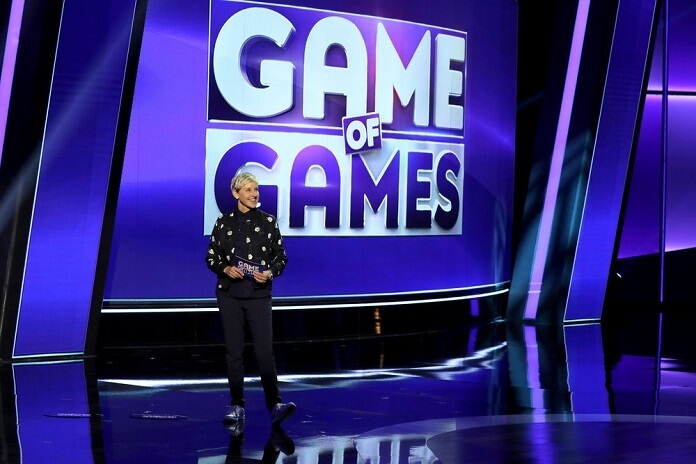 After a wildly successful first season, Ellen’s Game of Games returns for season two, which promises to bring more fun, laughter and unpredictable twists, with brand new never-before-seen games and special surprises. Multi-award winning television host, producer, writer, actress and entertainment powerhouse Ellen DeGeneres brings her high-energy comedy to primetime with the reality competition show, which also features Stephen “tWitch” Boss as announcer. DeGeneres serves as host and executive producer of the hilarious one-hour game show, which includes supersized versions of the most popular and action-packed games from her award-winning daytime talk show, The Ellen DeGeneres Show. Contestants are pulled right from the audience and must maneuver massive obstacles, answer questions under crushing time pressure and face gigantic plunges into the unknown – all in a quest to win a big cash prize. Every episode will feature DeGeneres’ mischievous personality along with a raucous roster of games, including now familiar favorites “Blindfolded Musical Chairs,” “Dizzy Dash” and “One Eyed Monster,” as well as some thrilling new additions this season, including “Mount St. Ellen,” “Oh Ship!” and “Knockin’ Boots.” The unpredictable, high-pressure moments will keep audiences on the edge of their seats. Contestants play different games over four rounds. The winner of each round advances to play “Know or Go.” Then, the winner of “Know of Go” gets the chance to play an epic game of “Hot Hands” where they have to guess as many answers as they can in a designated amount of time.